No conversation about sports would be complete without statistics, and the same applies when discussing sports fans. Did you know 86% of Americans identify as a sports fan? And, 4 billion people (more than HALF the planet) are football (soccer) fans? And, that sports fans are 67% more likely to use Twitter while watching a sporting event than non-sports viewers? All this and more can be found in the newest infographic from Crowdynews. 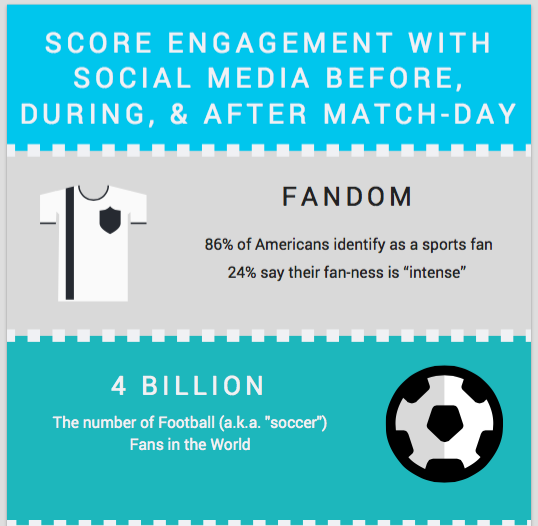 Learn how you can score engagement with sports fans before, during, and after match day; click the image below to view the full infographic, or download a copy here. If you’re ready to marry sports commentary with social media on your site to drive fan engagement, get in touch.